Docker is an open-source project that provides an open platform for developers and sysadmins to build, package, and run applications anywhere as a lightweight container. Docker automates the deployment of applications inside software containers. Docker development has been started by Solomon Hykes as an internal project at dotCloud, an enterprise PaaS (platform as a service), the software is now maintained by the docker community and Docker Inc. More about Docker can be found in the documentation here https://docs.docker.com/. Docker requires a 64-bit architecture for installation and Linux Kernel must be 3.10 or newer. I will use Ubuntu 15.04 here with 3.19 kernel version. Here the basic terms in the docker world that you should know. A Docker image is the basic template for a Docker container. An image usually contains the OS and applications that readily installed. The Docker image is used to run the container, you can find many images with a variety of operating systems and software that has been installed in the Docker Hub https://hub.docker.com/. Docker Container is an image which can be read and written to that runs on top of the Docker image. Docker is using the union-file-system as backend for the container, any changes that are made in the container will be saved in a new layer above the base image. The container is the layer where we install applications in. Each container that runs isolated in the host machine and therefore, provides a secure application platform. Docker registry is a repository for Docker images. It provides public and private repositories. The public Docker registry is called the Docker Hub. Here we can push and pull our own images. In this section, you will be guided to install docker. Before you install the software, check the kernel version and the OS architecture. You can see that I`m using ubuntu 15.04 - 64 bit and the kernel version is 3.19. In this section, I will show you commonly used options of the docker command. E.g. how to download a docker image, build a container and how to access the container. This command will show you all ubuntu images. 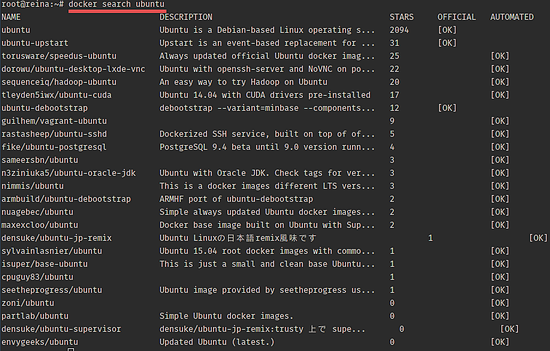 You can try by yourself docker search centos etc. Tdocker pull imagename command will download an image to your server from docker registry/DockerHub. This command will create and run a container based in ubuntu 14.04 image and run a command /bin/bash inside the container, you will be automatically inside the container after running the command. /bin/sh -c "while true; do echo hello world; sleep 1; done" this is bash script to echo "hello word" forever. You can see the hostname and the container ID are equal, this means that you are inside of the container shell. When you type `exit` on that shell you will leave that shell but the container is still running. Docker is an open source container virtualisation platform which helps developers to deploy their applications and system administrators to manage applications in a safe virtual container environment. Docker runs on the Intel / AMD 64-bit architecture and the kernel should be higher 3.10 version. With docker you can build and run your application inside a container and then move your containers to other machines running docker without any worries. I'm running a stock install of 15.04. Any suggestions? 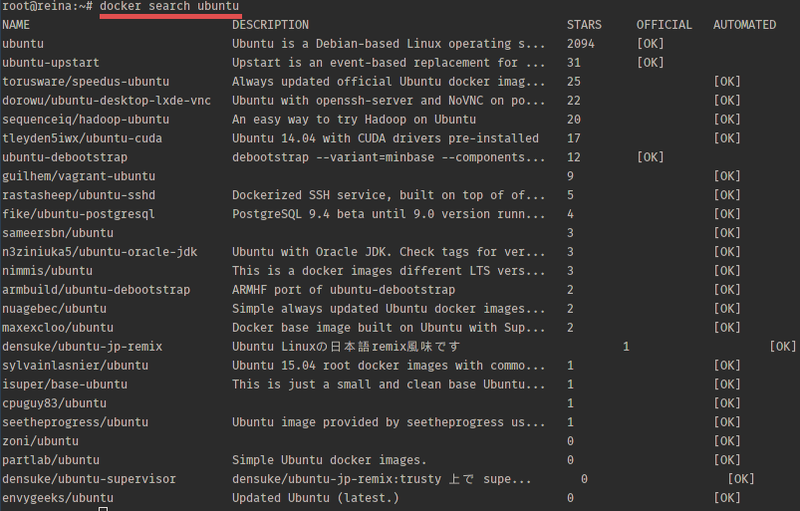 I'm not an expert in Docker, but I believe if you do "docker run -it ubuntu:14.04 /bin/bash" and get into the ubuntu container, then you can ping www.google.com. Otherwise, if you already have a container running, then you do "docker exec <container-name/id> ping www.google.com". Or try without the -i -t param as those are for running the container interactively. 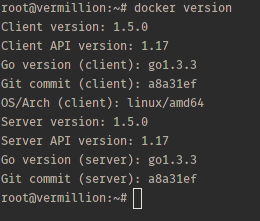 I`m using ubuntu 15.04 too, and I run a command "docker run -i -t ubuntu:14.04 /bin/ping google.com"
Docker misses a handy webinterface. For example the one Synology uses for Docker. Hi. I think you made a mistake. Look in the "Conclusion", in the last sentence.